When considering a fix and flip or rental renovation, flooring will be one of the most expensive areas for replacement. In the past, many contractors found the cheapest carpet or vinyl available to make a ‘quick sale’. Savvy buyers are not likely to purchase a property with substandard materials. Reputation means everything. Flooring or any building materials should not be compromised strictly due to cost. Affordable does not have to mean cheap. For investors looking to renovate their properties without sacrificing design for budget, here are some affordable flooring choices to try. Broadloom carpeting can be a choice for areas of low foot traffic. Most commercial carpeting is easily vacuumed and steam cleaned. A wide variety of colors, prints and styles can be utilized to maximize tenant/buyer appeal. Though vinyl has been associated with cheap renovations in the past, newer materials help vinyl become a durable choice. Once only available as sheets, vinyl can be purchased as tiles or planks which reduce waste. Vinyl is water resistant and can mimic more expensive types of flooring such as ceramic tile, hardwoods, or marble. Some companies can reproduce any texture photo or print into a vinyl design. Advances in mass production printing and finishing can create a stylish and affordable flooring option at a fraction of the cost. Fix and flip projects or rental renovations which are built with future pet occupancy in mind, can utilize vinyl as a selling point. Using cork is like blending the best aspects of carpet and vinyl. Cork has a non-slip texture both wet or dry. It offers shock absorbing qualities that rival broadloom or carpet tiles, provides allergy protection, and can be purchased in many colors and finishes. As most people are concerned with environmental issues, cork is obtained from sustainable materials. Some of the most highly visual areas of the project can be completed economically with laminate flooring. Though pricier than other listed choices, laminate offers a more expensive look with natural textures and colors. Planks or tiles come in a variety of sizes to help minimize waste. 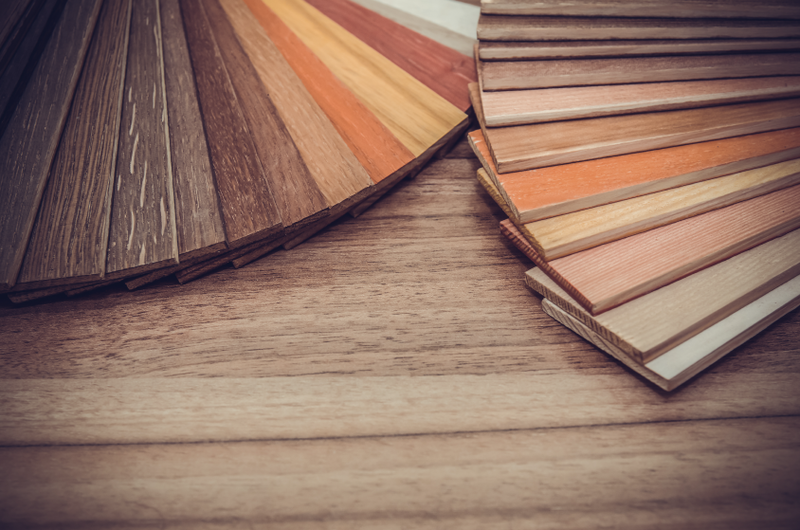 Anticipated foot traffic, type of buyer/user such as young couples or the elderly, climate issues, and local codes should be taken into consideration before any final decisions for flooring options are chosen. In areas where dampness, high humidity, flooding, forest fires, or other natural conditions regularly occur the correct choice of flooring type can make a noticeable difference in the profitability of the project. When replacing your investment property’s flooring, don’t run short on the funds you’ll need to complete the job right. LendingOne’s fix and flip loans cover up to 100% financing for rehab costs. Close in as little as 10 business days and you’ll be all set with the capital you need to finish those fix-n-flips. Apply today and learn more.